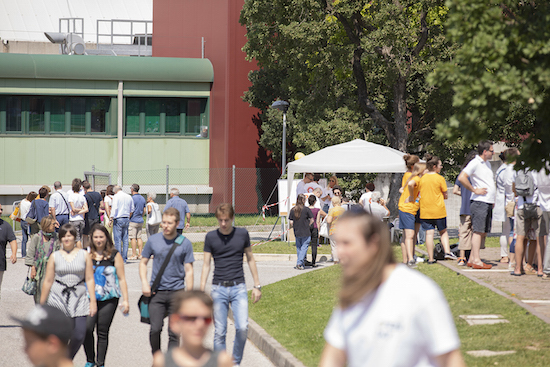 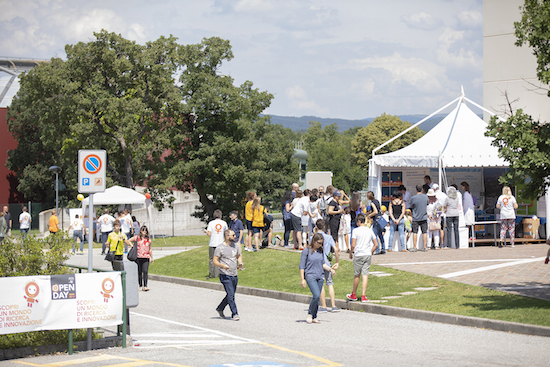 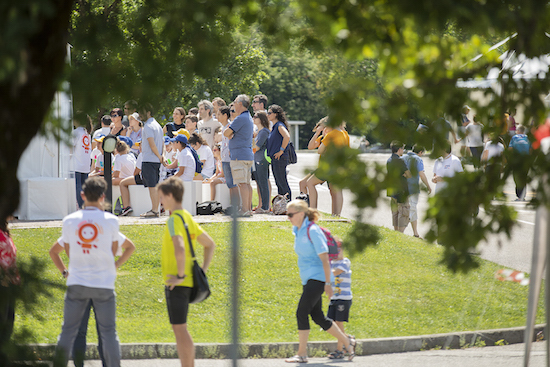 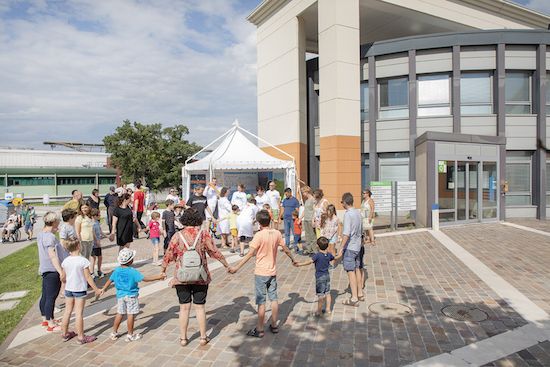 Open Day 2018: 2000 visitors thronged to the 11 visit routes in the Padriciano and Basovizza campuses of AREA Science Park, organised on the occasion of its 40th anniversary. 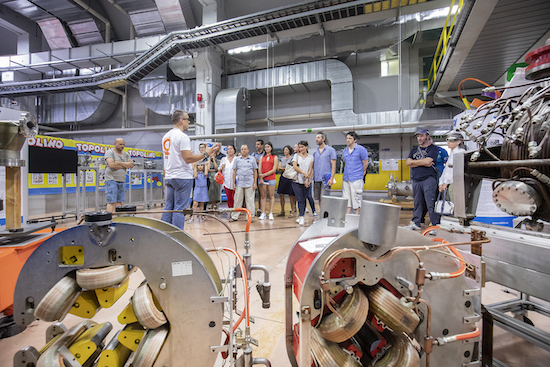 The visit to Elettra, one of the 5 routes in the Basovizza campus, was a great success, confirming the strong interest that the public had shown in previous editions. 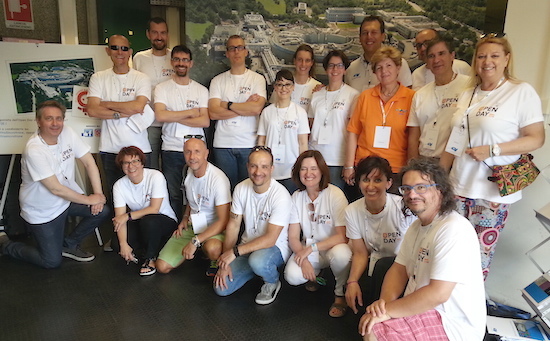 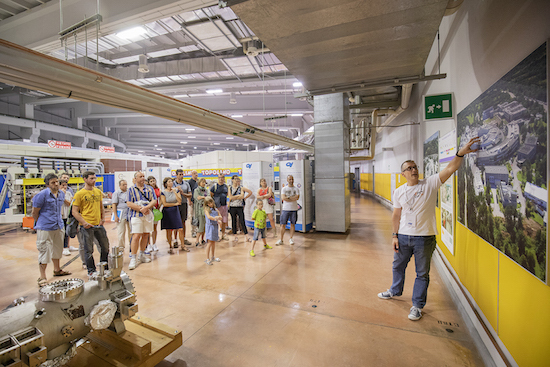 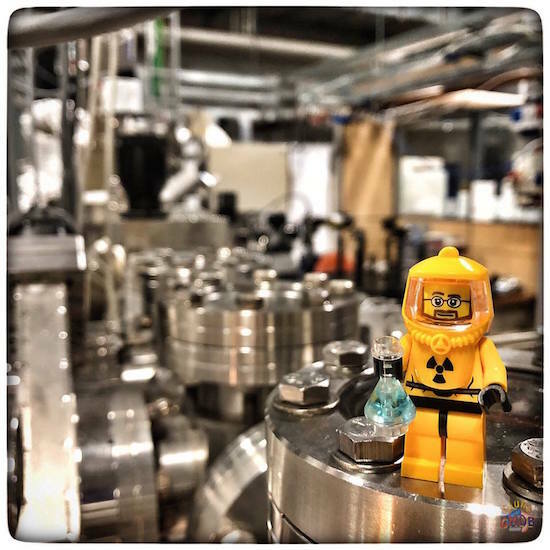 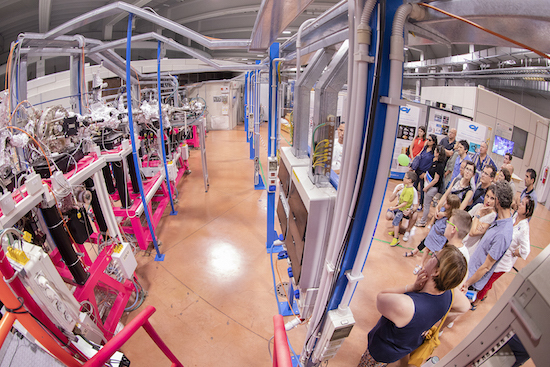 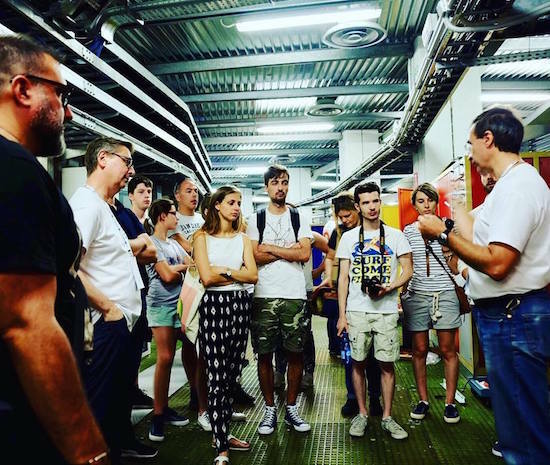 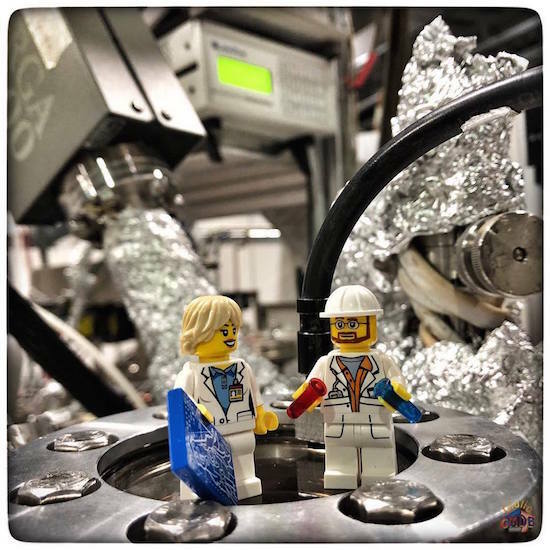 The 26 organised guided tours attracted more than 550 people into the experimental room of the Elettra synchrotron light source to observe some of the beamlines from a close distance and discover their various applications. 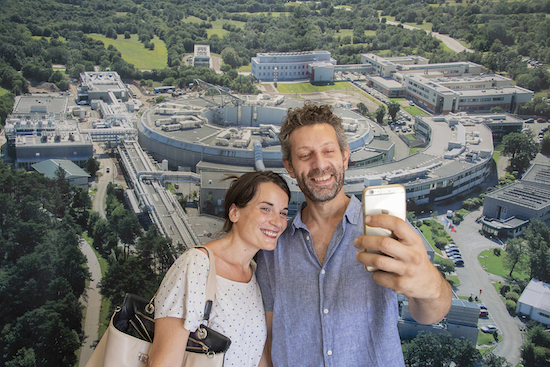 As special guest, IgersTs organized their first Instameet in the Science Park with the aim of describing scientists’ research and work with images. 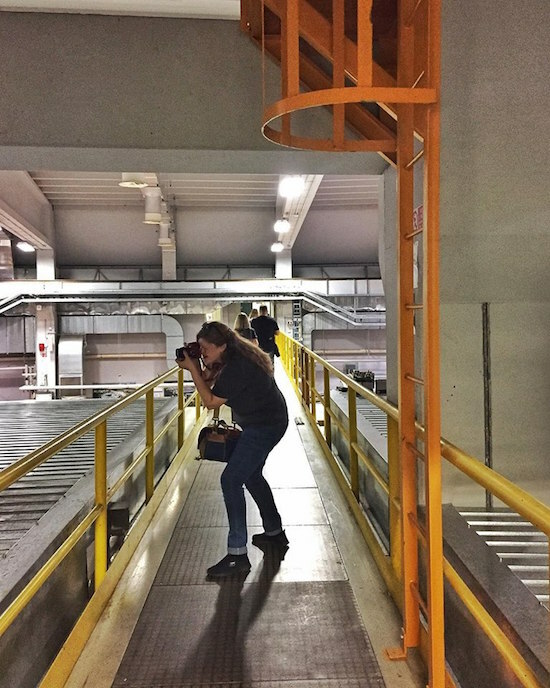 The Instagramers’ community visited Elettra and was walked through spaces usually inaccessible to visitors, where they could photograph the most interesting areas. 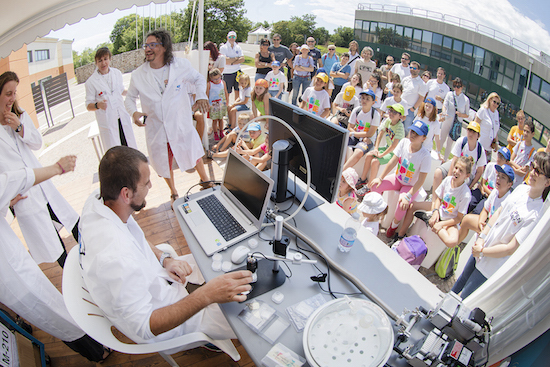 With their special effects, the now famous group “Betta e gli Scienziati Pazzi” was much appreciated by the almost 250 people who attended their 3 performances. 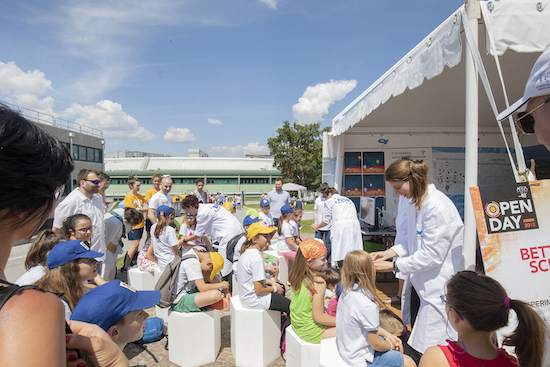 Young kids and teenagers, accompanied by adults of all ages, learned the principles of basic physics by playing and were involved in amusing experiments, such as cooking "frozen popcorn" at -190° C.